Duo proffers old-timey string band music informed by the spirit of indie rock. The New York Times preview said it best: "There is life after the Ramones, but who knew it would be bluegrass?" 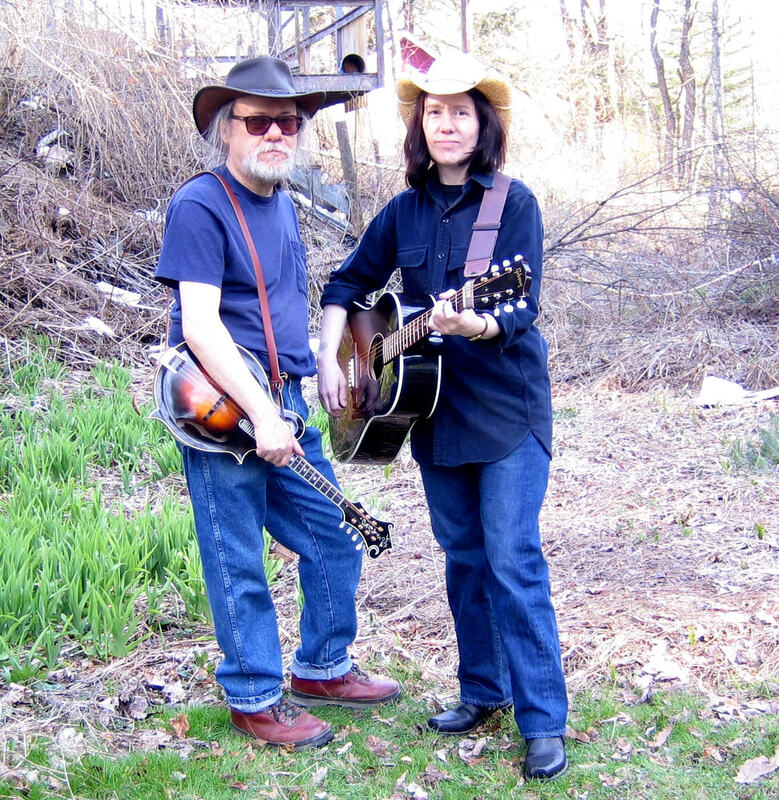 The write-up referred to Tommy Ramone's new bluegrass duo Uncle Monk, co-fronted by Claudia Tienan. In what seems an improbable second act for the man who wrote "Blitzkrieg Bop" and "I Wanna Be Your Boyfriend," Uncle Monk is rooted in the old-timey and bluegrass traditions. The duo's self-titled debut album featuring 14 original songs will be issued on the indie Airday Records label, distributed by Burnside Distribution, on May 22. "We are doing what feels natural to us," says Ramone. "We are making use of string-band instrumentation along with alternative rock flavorings. We're drawn to the classic simplicity of string-band music, but at the same time we are deeply involved with the aesthetics of indie music. There is a similarity between punk and old-time music -- both are home-brewed as opposed to schooled. Both have earthy energy. And there is a certain cool in old-time music that is found in the best alternative artists." The songs of Uncle Monk run the gamut of emotions from exhilaration to sorrow, focusing on many aspects of modern existence: small-town life, coming to the big city, urban gentrification, interpersonal relationships and spiritual longings. Tommy Ramone began his musical career as Tommy Erdelyi, an engineer at the Record Plant. Born in Budapest, Hungary, and raised in Forest Hills, Queens, N.Y., he co-founded the Ramones with Johnny, Joey and Dee Dee and participated in the birth of punk and indie-rock, working as the band's drummer, producer and manager. He has also produced recordings by the Talking Heads, Redd Kross and the Replacements. Claudia Tienan hails from Minneapolis, where she was part of the local music scene and came to New York to study philosophy at Hunter College. She was later a member of the Simplistics and then formed Uncle Monk with Ramone -- originally as an electric jam band, and later as an acoustic duo. Her penetrating lyrics and haunting vocals add facets and dimensions to the songs. There is a yin and yang sensibility here, a touch of light and dark, of bitter and sweet, as the music of each artist complements the other's. Uncle Monk delivers thoughtful and measured crafting of lyrics and melodies, and is dedicated to music that inspires the heart and tingles the spine. Time Out New York recently wrote of the band: "If we tell you that Uncle Monk is a bluegrass duo with Tommy Ramone in it, you're bound to think of something like punkgrass or bluepunk. But [they] serve it up pretty straight -- and solid. There is no doubting that Ramone's protean experience informs Uncle Monk, but he's no dilettante. This stuff is real."